You know there's a need and you want to help. But how? Many of you have told us you want to help create more involved, responsible and committed fathers. But, you've also expressed you don't know where to start. The task seems too big to handle. Creating a successful and sustainable fatherhood program right from the start is difficult yet vital. This task isn't for everybody. But, some of you can do it. For those with a passion to connect a dad to his child, I have this to tell you: you can do it...we can help. You may have noticed, I borrow the phrase "you can do it...we can help" from The Home Depot. Think of National Fatherhood Initiative as The Home Depot of fatherhood. Or don't, if you dislike that hardware store. My point is, we have the experience and tools for you to tackle the work of connecting fathers to their kids. According to the U.S. Census Bureau, 24 million children in America – one out of three – live without their biological father in the home. This means there is a father factor in nearly all of the societal ills facing America today. Research shows when a child is raised in a father-absent home, he or she is affected in many ways. Children are more likely to have behavioral problems, more likely to abuse drugs and alcohol, two times more likely to suffer obesity, and two times more likely to drop out of high school… and more. societal ills facing America today. How you address this issue matters. 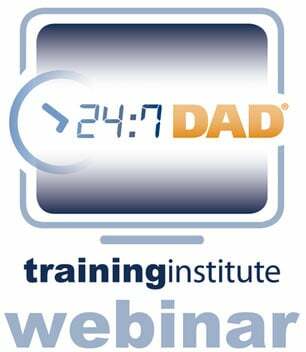 You and/or your organization may already be in agreement on the need for fatherhood programs. However, it's important to remember there is still debate about the necessity of fathers. Our point of view, based on research, is that good biological or adoptive fathers perform functions that cannot be performed by anyone else, even though others such as male teachers and family friends can be partial substitutes for good fathers. Let’s look at some research. In a study examining father involvement with 134 children of adolescent mothers over the first 10 years of life, researchers found that father-child contact was associated with better socio-emotional and academic functioning. The results indicated that children with more involved fathers experienced fewer behavioral problems and scored higher on reading achievement. This study showed the significance of the role of fathers in the lives of at-risk children, even in case of nonresident fathers. Source: Howard, K.S., Burke Lefever, J.E., Borkowski, J.G., & Whitman, T.L. (2006). Fathers’ influence in the lives of children with adolescent mothers. Journal of Family Psychology, 20, 468-476. Even after controlling for income, youths in father-absent households all had significantly higher odds of incarceration than those in mother-father families. Youths who never had a father in the household experienced the highest odds. Source: Harper, Cynthia C. and Sara S. McLanahan: Father Absence and Youth incarceration. “Journal of Research on Adolescence 14 (September 2004): 369-397. Father absence data will help you educate others on the importance of father involvement, and how father involvement is at the base of numerous societal issues that community organizations and social service agencies are seeking to combat or solve. It stands to reason that building the skills of fathers – giving them the specific, targeted tools and skills they need to be involved – will lead to their increased involvement in the lives of their children, and reduce the chance of the ill-effects of father absence for that child. for fatherhood work in your organization. There is plenty of research and statistics available on the positive effects of father involvement and negative effects of father absence. NFI has a book called, Father Facts 6. 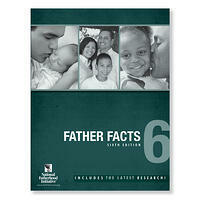 Father Facts 6 is the reference manual for anyone interested in promoting responsible fatherhood. Just because you're passionate about father involvement and think it’s important, doesn’t necessarily mean that everyone around does or will. Each person carries with them their own understanding of what it means to have (or not have) a father in their lives, and their own opinion about whether or not having an involved father is even important to children today. These opinions and attitudes can play into their everyday work with families you serve. Assessing the father friendliness of your organization is a vital step to serving fathers and startinng a fatherhood program. In order to head in the right direction, you must know where to start. NFI’s Father Friendly Check-Up™ (FFCU) is a free tool to help you successfully engage dads and strengthen the families in your community. This assessment allows you to analyze your physical environment, location, organizational philosophies, staff attitudes, and more. Without the full “buy-in” from all of your staff members, your fatherhood program and father-involvement plans may come to a screeching halt. The FFCU will help you examine the structure of your organization and whether it has the foundation on which to build a successful service or program. Without that foundation, your organization risks failure in its ability to effectively serve fathers. have “legs to stand on” for success? 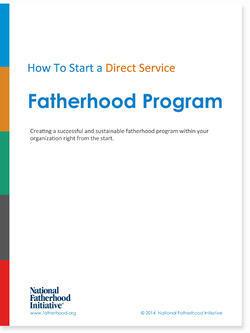 In the full ebook How to Start a Fatherhood Program, you can review an organizational case study highlighting use of the Father Friendly Check-Up™ to launch a strategic plan using NFI resources. There are a great number of fatherhood programs with dedicated staff, curriculum, a facility, and community support – but lack participants. really exist without dads to serve. Marketing a program or service is the greatest challenge. Unfortunately, some fatherhood program practioners are very skilled in the business of program operations but do not know the location of their target population or how to get them in the door. Marketing your fatherhood program not only involves recruitment, it involves retention and creating a positive image of your program or service in the community to generate referrals. The "Field of Dreams" quote, “if you build it, they will come” does not apply for this! Just because you are passionate, your staff is ready to work with fathers, and you have a plan in mind, doesn’t mean they will come. It is with careful planning that you must proceed. You may have heard the old saying, “Proper Planning Prevents Poor Performance.” That’s why successful fatherhood practioners plan ahead by strategizing how they will draw fathers in, what other services they will offer as “hooks”, and lay out the demographics and location of their target population. It is ideal to do this prior to choosing the curriculum for your fatherhood program. What kind of other “wrap-around” resources do we offer that have a “draw” for potential participants? What could be the “hook”? What is our target father’s age range? Children’s age(s)? Marital status? Where are the fathers that have the “need” we serve? Where would they hang out? Where can we post a flyer? (e.g. bulletin board in community center or grocery store; flyer on pizza boxes or other food delivery service, etc. Regarding effective hooks, NFI’s own research has found most fathers enroll in a fatherhood program because it helps them address their immediate needs (e.g. job training and placement, access and visitation with their children, getting a GED, etc.) Often, fathers only realize the benefits of learning fatherhood skills after they’ve been enrolled in a program for a while. So from a marketing and recruitment standpoint, it’s more important to stress how your program or organization can meet the fathers’ immediate needs and then introduce them to the fatherhood program. Ultimately, make the fatherhood program an integral part of a larger set of programs or services fathers receive. For example, NFI’s 24/7 Dad® program is an ideal compliment to wrap around services such job training, support, and financial literacy because the program speaks to why men do what they do. Fatherhood can provide men with a greater context and purpose for life, and when you tap into that, you can make significant in-roads in the other service areas as well. Depending on your location and types of fathers you will serve, you may find fathers in different places. If your setting is urban, you might recruit program participants at shopping malls, libraries, social service buildings, business venues, and sporting events. If you’re looking to recruit teen and younger adult fathers, skate parks, shopping malls, computer gaming facilities, and coffee shops may serve as prime locations for recruitment. NFI resources offer you the ability to customize programs to engage fathers in a way that is unique to your organization and setting. After you have determined which type of fathers you will target, it will become to select the fatherhood skill-building resources that best fit your needs. To start, NFI uses “intensity levels” to help you understand the amount of staff involvement and monetary investment needed to offer/facilitate categories of products and resources. You choose your implementation strategy – NFI provides you with an approach and tools to create a cohesive, effective fatherhood plan. Low Intensity Resources: NFI fatherhood skill-building resources that require minimal staff time and monetary investment, and are easily incorporated into your other organizational offerings for fathers, such as Brochures, Tip Cards, Pocket Guides, and Posters. Medium Intensity Resources: Fatherhood skill-building workshops and resources that require moderate staff involvement and monetary investment, and are generally shorter in delivery length, such as The 7 Habits of a 24/7 Dad™, DoctorDad® Workshop, The InsideOut Dad® Guide to Family Ties, FatherTopics™ Workshops. It’s time to start thinking about how you can create a program or initiative that you can sustain. Now that you have completed the Father Friendly Check-Up™ and have determined you are ready to tackle the next steps toward starting your fatherhood program, it’s time to start thinking about how you can create a program or initiative that you can sustain. Sustainability refers to the long-term ability to keep your fatherhood program alive and thriving. From the foundation of the program to ensuring long term funding, a good place to start is to create a logic model. for the long-term requires sustainability. Developing a program requires a process for planning, implementing, and measuring the success of all the organization’s efforts. A logic model is simply a picture of how your program works. It keeps your goals in view and shows the processes and activities connected to achieving that goal. It is a valuable aid to show potential partners and funders that solid, systematic planning backs your program. Remember how we spoke in Step 3 about using wrap around services as a hook for your fatherhood program? This is where you will plan how that will look. 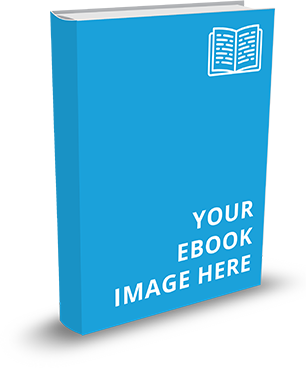 Learn the 6 ways to create a useful logic model in the full ebook How to Start a Fatherhood Program. So you have an awesome logic model for your fatherhood program. Great! Now what? We understand you want to do everything you can to promote the well-being of children through father involvement and fatherhood programs. But, organizational budgets are tight and funding can be difficult to secure. The good news is that there are a variety of ways you can fund - or find funding – to work with fathers and take advantage of NFI’s wide range of affordable skill-building resources and out-of-the box fatherhood programs. for all this much needed fatherhood work? The first option to consider is how you can find funding within your own organizational budget - which can certainly be difficult. Consider pulling a small amount of money from a program or two that is not as successful as expected, or from a budget where, with some shrewd planning, costs could be reduced. Of course, when you have the opportunity to plan budgets for the next fiscal year, be sure to include fatherhood in your planning, and earmark funds for fatherhood skill-building resources, just as you would for other handouts/brochures for other types of clients you serve. Whichever fatherhood programming level you choose, providing father-specific, skill-building materials at some level is a step in the right direction. Funding from outside sources is an option that your organization – in addition to starting fatherhood work on a smaller scale using funds from your own budget. With some planning, hard work, and dedication, you may be able to find an outside funding source that will provide for all aspects of your work with fathers. Grants.gov - A federal site that aggregates all federal grant opportunities. You can search for grants currently being offered and access grant writing resources. Office of Management & Budget (OMB) Circulars - Provides direction on federal budge0ng and expensing for nonprofits, education institutions and state, local and Indian Tribe governments. Healthy Marriage and Responsible Fatherhood Grants – This is an ongoing, $150 million per year funding stream provided by the US Department of Health and Human Services, Administration for Children and Families to provide grants to organizations seeking to run fatherhood and/or marriage programs. The Grant Station - An online funding resource for organizations seeking grants throughout the world. Providing access to a comprehensive online database of grant makers, as well as other valuable tools, Grant Station can help your organization make smarter, be`er-informed fund raising decisions. The Grantsmanship Center - Offers a variety of training such as The Grantsmanship Training Program, Earned Income Strategies and Competing for Federal Grants. Grassroots Institute for Fundraising Training (GIFT) - Provides a range of training programs and webinars to help you raise money from your community. 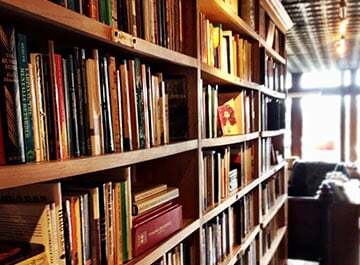 Additionally, they offer articles and subscription-based services to aid in your fund raising efforts. Ready to Launch? Once you’ve made the case to your director/board/boss about starting a fatherhood program, planned for a sustainable program, selected your fatherhood skill-building resources, and have even recruited the dads to come to class -- it's time to start leading! Now, you may be asking questions such as where to hold each session, what should be included, do you need training, and should you have more than one facilitator. Plan to evaluate your program’s success. Fatherhood skill-building sessions can be held anywhere: community centers, churches, library meeting rooms, or even in the home for home visitation agencies. Little things, such as including food and drinks, are a great way to keep dads coming back. While receiving training on NFI’s core fatherhood programs is not required -- since they are considered “out of the box” curricula (a Program Guide, Logic Model, and marketing materials are provided with each Complete Program Kit) -- we do offer curriculum training for facilitators. Planning to evaluate your program will allow you to get the best results, and correct your course if something is not working. An evaluation is like a GPS – it tells you whether you’re headed in the right direction and helps you to correct your course if necessary. Evaluations are critically important for program credibility, accountability, improvement, sharing of best practices, and to prove to funders that their dollars were well spent. You don’t need a complicated design to effectively evaluate your program. To help you with this step, NFI includes evaluation tools with many of our fatherhood programs such as 24/7 Dad® and InsideOut Dad®. Starting a fatherhood program will be incredibly rewarding for you, your staff/program facilitators and the dads you serve. Now that you’ve read this blog, download the full ebook and start with Step 1! NFI is here help you create a fatherhood program that works!